- New kitchen and refurbished bathrooms. - Dedicated underground parking place. Guide price 300,000 - 325,000. Freeman Forman are delighted to present this chain free spacious two bedroom second floor apartment, benefiting from an enviable central Town location, and an impressive large private outside terrace. 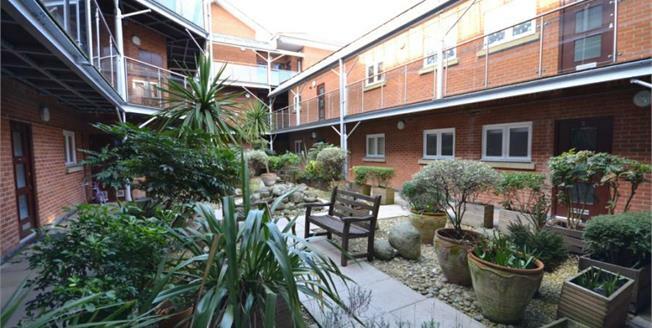 The property forms part of an exclusive development with internal communal gardens and allocated secure underground parking. The well presented accommodation includes an open plan newly fitted kitchen/reception room with double doors leading onto the private terrace, en-suite master bedroom with built in wardrobes and sliding mirrored doors, further double bedroom and a family bathroom. The property enjoys a gas central heating system and double glazing. The Mainline Railway Station, and various Shops, Bars, Restaurants and Coffee Shops are a short walk away.